Being modern travelers, we enjoy using electronic devices that make international travel easier. Since we have to charge our laptops, our cell phones, our Kindles, the GPS, an electric shaver, a digital camera and more, it is very important that we know the type of current that will be flowing from the sockets in the countries we visit as well as the type of plug that fits into the outlet. 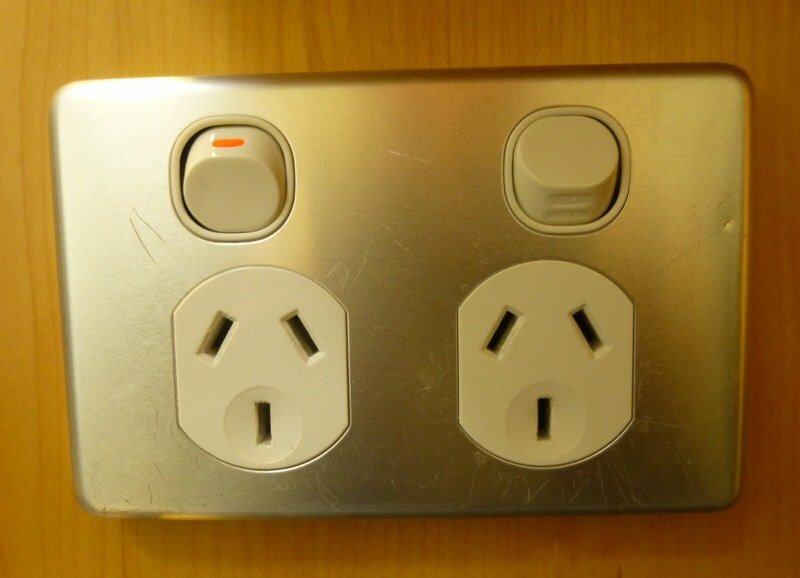 Before we traveled to Australia, we learned that the Aussies have 240 Volt current at 50 Hz and that the outlets have two flat pins at acute angles and a grounding pin (sometimes) that is vertical just below them. So we purchased some adaptors on-line so that we could plug in the American plugs on our electronics. Fortunately, most modern electronic power supplies can handle A/C current from 110 Volts to 240 Volts, automatically switching to the correct setting. That is true of our laptops (one Acer and one Asus), our iPhone USB power plugs, our Panasonic Lumix digital camera and my Norelco shaver. It was not true however of my Norelco electric beard trimmer. When I plugged the power brick into the 240 Volt outlet, it quietly died. Lesson learned: carefully read the tiny, black on black raised lettering on each power adaptor to insure that it can handle the different power in the country you are planning on visiting. I discovered a web site that has a listing of most of the countries in the world and their electrical requirements. Click on the name of the country at Voltage Valet and the directory identifies the voltage, the frequency, the adaptor plug and the electrical outlet used in that country. 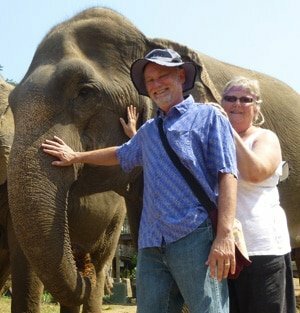 Since we intend to travel to Indonesia and Thailand, we purchased universal travel adapters that have the correct plug holes and pins for Europe, United States, Australia, and Southeast Asia. This is one device we can travel with and always be able to plug in our electronics. Another good idea is to have a power strip. That way you only need one adapter to power or charge multiple devices. Before our travels, we chose a clever travel power strip that is specially designed for travelers. This really helped us to keep everything charged up and ready to use. Something else to know is that anything that charges via a USB adapter can be plugged into any other device’s USB power brick (unless the manufacturer doesn’t adhere to the USB specification, which is rare). So, you don’t need to travel with several USB power plugs. Great ideas Neil. We also take with us a 4-gang Aussie power board though we’ll be looking for a slimmer version to cut down the luggage weight. I like the power adaptor with the usb slot. Each time we move in to a new place one of the first things we do is set up a “charging station”. I can’t stand all those cables so hopefully one day there will be an efficient charging mat. 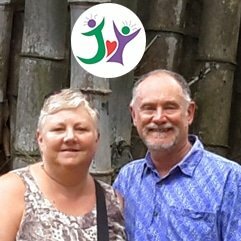 Happy powered travels to you both. Hi Sue. Thanks for your thoughts. Finding places to charge all our electronics is always a challenge, especially in older buildings. We’ve found that bringing one power adapter and what Americans call a power bar and Australians call a “power board” works well. I think a power mat will be a great solution when all our devices have the receiving part built in.